Unfortunately, this sign went up at Bella 'Mbriana a week or so ago. 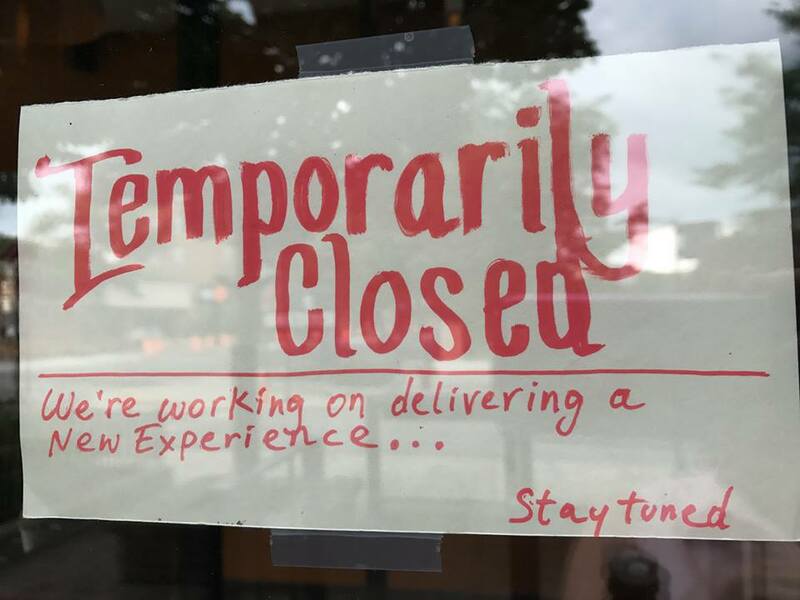 We loved Bella's food and coffee, and hope a "new experience" is on the way. You know what we'd love to see? A collaboration between the talents behind Baker & Nosh and Bella. There's a great kitchen and welcoming space, a proven popular product, and a free parking lot. With Baker & Nosh's future up in the air, maybe a partnership with Bella is a possibility? Think about it, fellas!